He is addressing the inequality gap in training opportunities for six-figure and $6/hour workers. Noting that proper training leads to better workforce efficiency, which results in greater upward mobility and expanded career options, Caucci hopes to help everyone from the janitors and box office workers to the C-level executives become the most equipped that they can be for their careers. Employee learning is an emphasized value amongst the Bay Area tech giants (many top companies have a “Chief Learning Officer” or equivalent). However, the same can’t be said for the majority of companies in America, who correspondingly employ the majority of entry-level workers. Without strong training programs and mentoring opportunities, these companies enlist a “spray and pray” approach to developing the type of employees who will help their companies grow. Not only does this method have a low efficacy rate, but it also sends the wrong message to employees, who oftentimes then opt-out of additional learning resources. What would Caucci advise other companies interested in improving employee learning? Caucci comments that when it comes to training for a marathon, there are hundreds of online resources. But when it comes to employee performance, “companies don’t understand what that game plan looks like.” He advises first committing to a calendar, making specific deadlines for activities and following up with relevant resources on a timely basis. For many companies, onboarding new employees is an unwelcome interruption to the workflow, and is handled clumsily and ineffectively – if at all. New hires are given limited training, either through clunky online resources, one-time in-person events, or a indecipherable manual that many employees never open. More often than not, employees are thrown into the ring, expected to communicate company values with minimal understanding of what that actually means. Sam’s Caucci’s team at Sales Huddle Group tackles this problem head on. By gamifying corporate training materials, they make the onboarding experience fun, interactive, and most importantly, effective. Why does this approach matter? Caucci explains it as such: in the US, six-figure workers get access to the best training, but $6/hour frontline workers aren’t given the same opportunity. This inequality affects upward mobility, employee satisfaction, and the overall productivity of a company, and is a significant motivator for why Sales Huddle Group shifted its emphasis from solely providing leadership tools to incorporating training materials for janitors, box-office workers, and other typically overlooked positions. The platform also serves as a fun feedback tool – the trainees get practice in retention and recall, and the managers gain insight into who is struggling where so that they can make necessary adjustments. Caucci says that “the biggest evolution of the concept was realizing that when it comes to training, everyone deserves to be trained and prepared well for their job, regardless of their wage.” The benefits of proper employee training has a ripple effect: since we now spend more time at work than with our families, knowing how to better prepare companies to prepare their people is a critical component to increasing societal good. 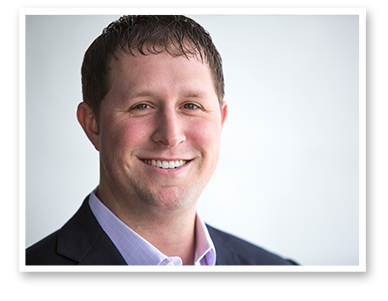 Learn more about Sales Huddle Group and Sam Caucci here. If you know someone who you consider an HR Game Changer, let us know! We’re on the lookout for innovative HR practices that enhance employee learning and development opportunities.